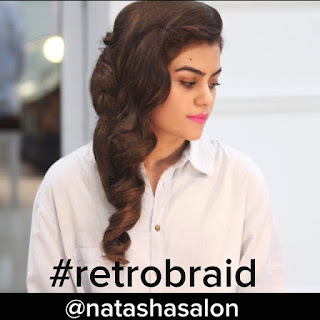 I recently joined Instagram (I'm late to the party I know, but if you want to follow me here, you can do so here - nazma_afb) and one of the hair and beauty accounts which has caught my attention is Natasha Salon, a make-up studio/salon based in Karachi Pakistan run by Hina, Natasha and Sabrina. Here are some of my favourite images of their work, including real brides and editorial looks for some of Pakistan's top designers. 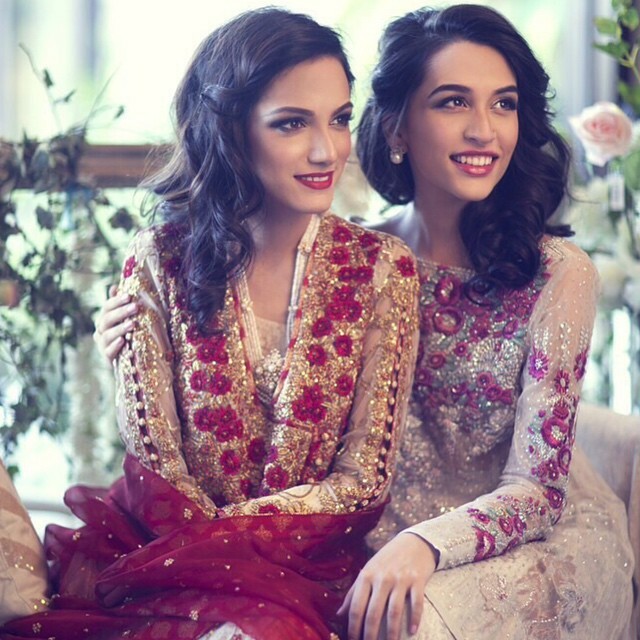 Sana Ansari and Meera Ansari - a sixties look with a twist for the Farah Talib Aziz Eid 2015 editorial. I love a bit of retro, and so this softer take on a 60's look with winged liner really appeals! 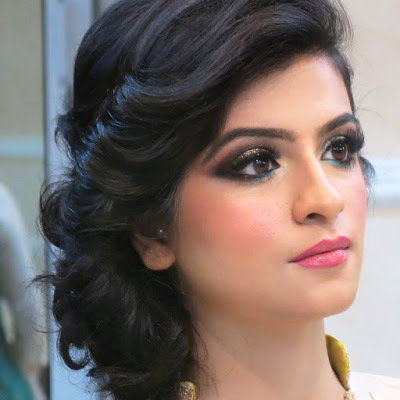 The Natasha Salon team have provided a break-down of the make-up for this look here for anyone that wants to try their hand at this style. 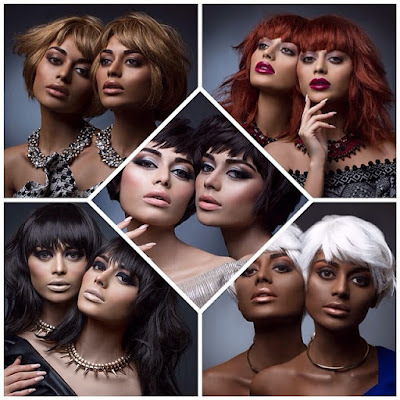 A different editorial for Farah Talib Aziz, again featuring Sana Ansari and Meera Ansari. This was the picture I took to my MUA to show how I wanted my hair styling at this family wedding. View more details on the look here. 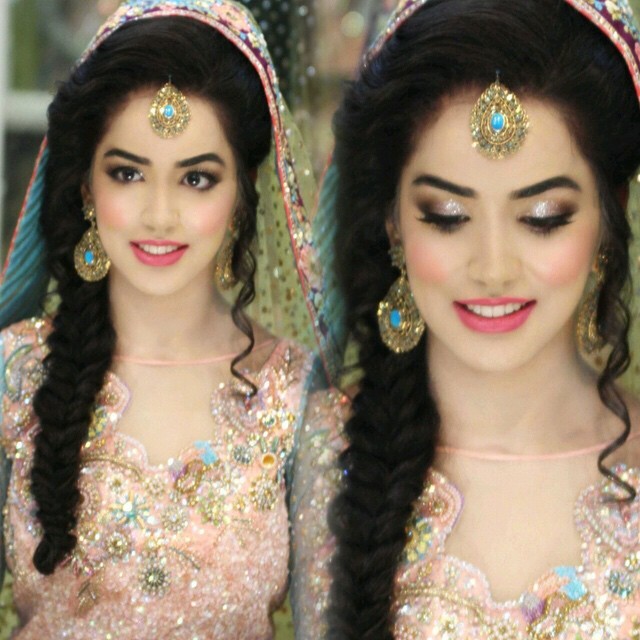 Side braids seems to be really popular among their real brides! 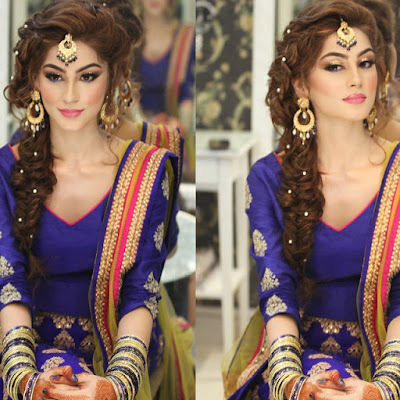 More details about this mehndi look on their feed here. I love love love a glittery eye look! See the details of this bride here. An look inspired by Elsa from Frozen! See more here. 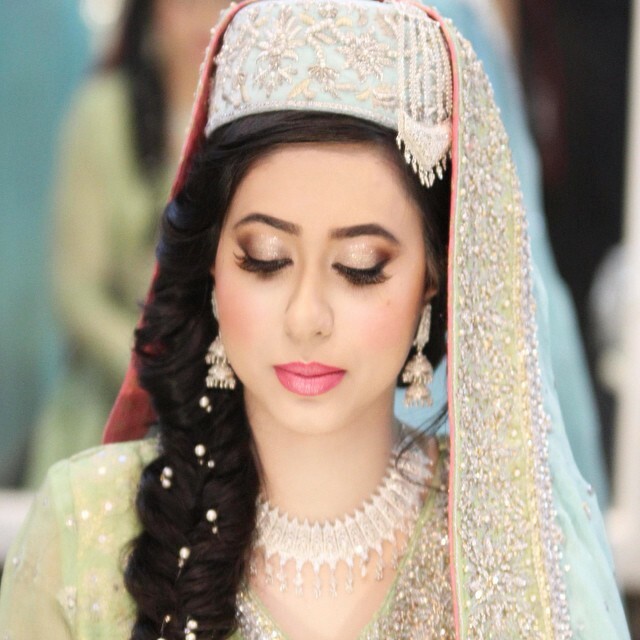 This side braid look works with the Kashmiri bride's traditional hat hair accessory (Kalpush). More on the look here. A new style displayed on their feed this week, the "retrobraid"
The hair styling on this look was inspired by Downton Abbey! I love the blue/green on the waterline. See more here. The only thing I'd like to see more of on their instagram feed is a bit more variety in terms of skin colour - I don't know if that's because they make up all their brides to look fairer, whether it's something to do with the camera/lighting in their salon/studio or if they only choose to showcase the fairest skinned brides on their page. I'd love to know who else I should be following on Instagram for asian fashion, beauty and hair inspiration! Leave a comment with your recommendations! Beautiful looks! I love the side brides, must learn how to create one! 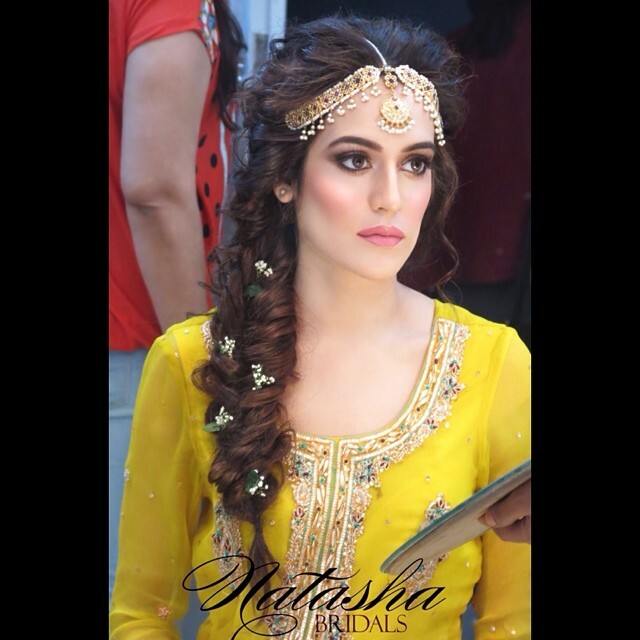 I love Natasha Salon, would love to go there and get made up! I also like following Jenny/Shirley Wu, very pretty bridal looks! I follow a few more for hair and beauty, can't think of any to mind but will post back when I do!